For people who are at the end of life, the Visiting Nurse Association of Hanover & Spring Grove provides compassionate hospice care at home and in nursing homes. Our warm, caring hospice team combines sensitivity and compassion with expert medical knowledge and skills. Our hospice care at home services provide care for individuals with all types of terminal illnesses. The hospice team works with patients, families and physicians to achieve comfort, promote choice and provide support. 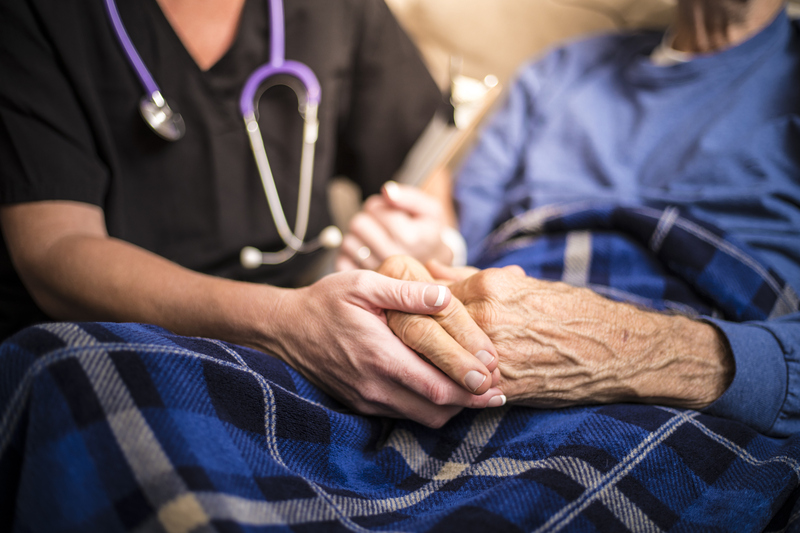 Who Benefits From Hospice Care At Home? For those who live alone, hospice care can be an excellent solution for remaining comfortable near the end of life. In addition to providing hospice care at home, we also provide care for those living in nursing homes. Nursing home hospice staff work closely with patients, their families and physicians to coordinate a plan of care that makes sense for everyone involved. At-home care offers a familiar environment that is quiet, peaceful and very different from a hospital. It’s ultimately a collaborative effort among the patient, their family, physicians and the hospice nurses from the VNA. Our hospice team and health care professionals work hard to address palliative aspects of a patient's illness with the focus on pain management, reducing discomfort and controlling symptoms. Hospice care at home can help ease family anxiety and offer patients exactly what they need, whether it's companionship, a listening ear or something more complex. For more information about our hospice care at home program, please call us at 717-637-1227 or 1-800-422-3197. After contacting your loved one's physician to confirm the need for hospice, we'll gather an assessment to set up an individualized plan of care.